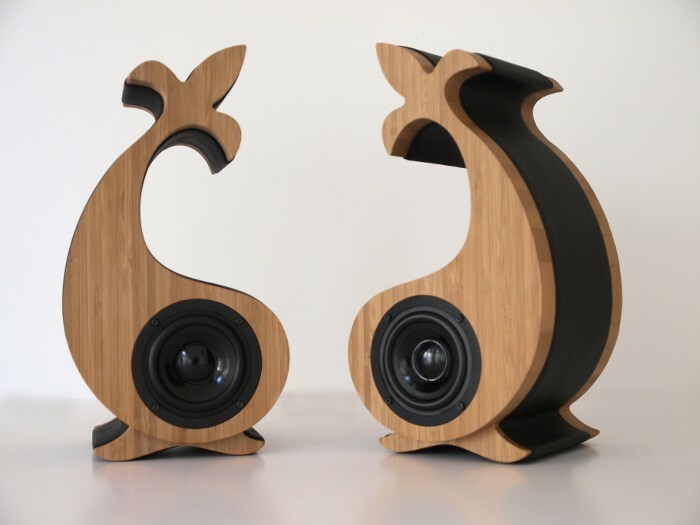 Designed by Serene Audio, these stunning little speakers are made from FSC approved bamboo and leather. The eco-minded company is as passionate about design as they are about music, and special attention is paid to all the minute details of both aesthetic and acoustic qualities. Each design goes though a myriad cycles, scientific measurement, fine tuning by ear, and aesthetic refinement to give way to pieces to be admired by both the eyes and ears.